Taranaki is located between Auckland and Wellington on the west coast of New Zealand. There is only one city known as New Plymouth located in this place. The population of this city is 74,000. Taranaki is renowned for its lifestyle. Its landscape offers everything from sea to mountain. It provides a variety of housing options. It ranges from apartment living to traditional bungalows. The town situated around it offers more rural and small-community living. This region combines great outdoor activities. It offers a cultural scene, a number of fine gardens and parks, etc. 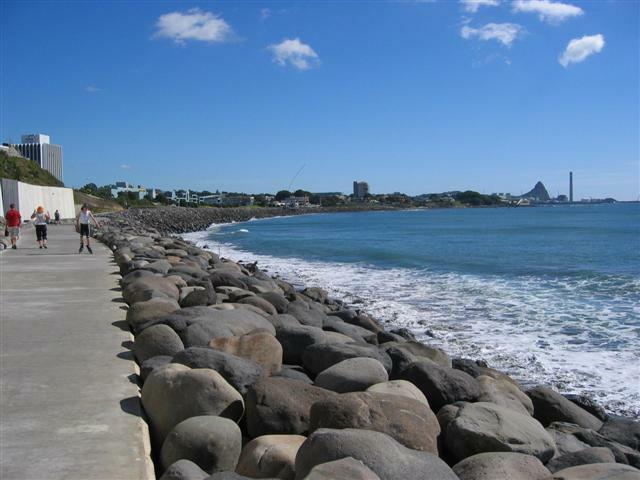 Taranaki coast has beautiful sandy beaches and rugged cliffs, which can be used for boating, diving, swimming, fishing, etc. The water sports too are very popular in this region. The water sports such as surfing, etc. Other than this there are other entertainments such as garden festival and major sporting events that keep the locals well entertained. There are also numerous international performances taken place. 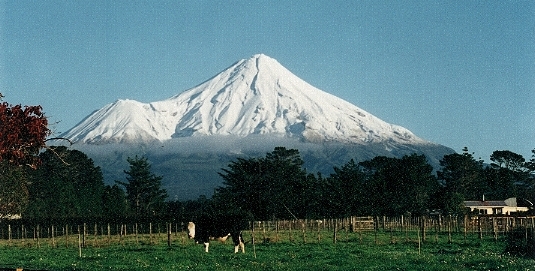 Taranaki is surrounded by the Tasman Sea and its central mountain peaks on the west north island. The region has high sunshine hours. The climate here is usually sunny and windy with well-distributed rainfall and moderate temperatures. The temperature in the afternoons especially in summer is around 21-22oC. The afternoons in the winter is around 13-14oC. The main industry of this region is agriculture and oil and gas industry. They are commonly known as white gold and black gold. The land is dominated by dairy farming. In the southern hemisphere, the second largest milk treatment factory is located in the Hawera town. In Taranaki, the country’s has its only operating oil and gas reserves located onshore as well as offshore. Most visitors venture to Taranaki to climb the enormous cone-shaped mountains,up there’s a lot more to Taranaki than first meets the eye. Egmont National Park include Mount Taranaki , offering fascinating outdoor adventures like, hike to the summit or enjoy the POUAKAI crossing day hike. Previous snow and ice climbing experience is required to reach the summit during winter. There are more than 300 km old walking tracks, ranging from ten minute nature walks to a three day trek around the mountain and one can take a scenic flight over Mount Taranaki. Taranaki adventure caters all the age groups and their budget with a wide range of exciting adventure. Mt Taranaki has many indoor as well as thrilling outdoor adventures. The oastline is a home to countless classic surf breaks. Breaks like Stent road, the Kumara patch, Fitzroy Beach and Arawhata Road have become legendry in New Zealand surfing over a decade and attract surfers from all over the world. There are many beaches situated in this place. Surfing, swimming, camping in both the sheltered river and sea are practiced on Beaches like OHAWE BEACH, KAUPOKONUI BEACH, OPUNAKE BEACH, KINA ROAD and KUMARA PATCH. Food and entertainment: if you enjoy an evening out south Taranaki has two modern cinema complex, live performance venue and wide array of cafes and restaurants covering the spectrum of national and international cuisine which offer something to tempt everyone’s taste buds. Cafes like Arabic coffee bar, Mac Donald’s family restaurant, subway sandwiches and salads etc are available. Bars and restaurant like secret 7 Bar and Grill, Indian Zaika, Chefs steakhouse on high, chefs buffet at the furlong hotel and south Taranaki club are available. Many people choose South Taranaki for the lifestyle it offers. Few districts offer such outdoor recreation choice along with fantastic indoor facilities. Aquatic centre and swimming pools : the Hawera Aquatic centre has an indoor heated all year complex featuring a 25 mts (6 lane) pool, learners pool, toddlers pool, children’s spray and play pool, thermal pool and a slide. Skiing: the MANGANUI SKI AREA consists of gentle intermediate runs and open bowls. Brown Bear Ski and snowboard Area Guide has rated Manganui as family friendly and also to have outstanding steep run for skiers and snowboarders. Manganui has a T-Bar, A learner rope tow, access tow and a fixed grip rope tow. South Taranaki has an abundance of golf course catering for golfers of all levels. Few of them are ELTHAM GOLF COURSE, HAWERA GOLF COURSE, and MANAIA GOLF COURSE etc. It has been referred to as the garden of new Zealand. From the ever popular Taranaki Garden festivals to arts in the park south Taranaki has a range of must do events throughout the year.